Samsung Galaxy Note Pro 12.2 vs Galaxy Tab Pro 12.2 - Which One to Buy? Samsung Galaxy Note Pro 12.2 vs Galaxy Tab Pro 12.2 – Which One to Buy? The Samsung Galaxy Note Pro 12.2 and the Galaxy Tab Pro 12.2 are Samsung’s latest flagship Android tablets, that comes with a much larger display of 12.2-inch. Both tablets where first seen and introduced at the CES 2014 last January. They both run on the latest Android 4.4 KitKat and features a new User Interface. Both the external and internal aspects are pretty much the same. But Despite having many similarities, the Samsung Galaxy Note Pro 12.2 and Galaxy Tab Pro 12.2 does have differences. These differences will distinguish them from each other. Let’s take a look and find out which 12.2-inch tablet is the best for you. First, let’s find out what do these Android tablets have in common. Both the Galaxy Note Pro 12.2 and Galaxy Tab Pro 12.2 runs on Android 4.4 KitKat out of the box with Samsung’s latest TouchWiz UI and Magazine. They are powered by the same Exynos 5 5420 Octa Core SoC and the same Mali graphics processor. They also have 3GB of RAM, comes in 32GB or 64GB internal storage and have expandable memory via microSD. The Samsung Galaxy Tab Pro and Galaxy Note Pro 12.2 have a nice 12.2-inch Super Clear LCD display at WQXGA resolution of 2560×1600. They both have an 8 megapixel rear facing camera and a 2 megapixel front facing camera. 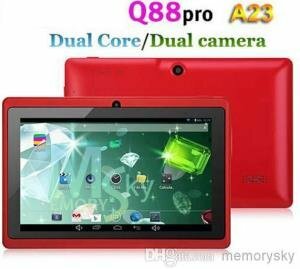 They also have WiFi 802.11ac dual band wireless connectivity, Bluetooth and microUSB port. Even their physical dimensions are the same. Now let’s move on to their differences. One major difference between the Samsung Galaxy Note Pro 12.2 vs Galaxy Tab Pro 12.2 is that the Galaxy Note Pro comes with a Stylus Pen, just like all the other Note series tablets and phablets. If you are familiar with the Galaxy Note 2/3 and Galaxy Note Tab, you know what the S Pen can do for you. Meanwhile the Galaxy Tab Pro 12.2 doesn’t have any S Pen, just like its Galaxy Tab predecessors. But the Galaxy Tab 12.2 comes with Data connectivity, giving you access to 2G, 3G and HSPA networks via a micro SIM. Another difference would be their price, most probably. But I’m not sure yet how much is the retail price of the Galaxy Tab Pro 12.2 as it’s not yet listed on online stores. UPDATE: Just an update, both the Galaxy Note Pro 12.2 and Galaxy Tab Pro will have a WiFi only and 3G/LTE variant. The WiFi only will be powered by the Exynos 5 SoC, while the 3G/LTE variant will be powered by a Snapdragon 800 SoC. So basically the only difference with the Note Pro 12.2 and Tab Pro 12.2 is the S Pen. The 32GB model of the Samsung Galaxy Note Pro 12.2 is currently at $749.99, while the 64GB is priced at $849.99 and comes with free shipping when you order here. 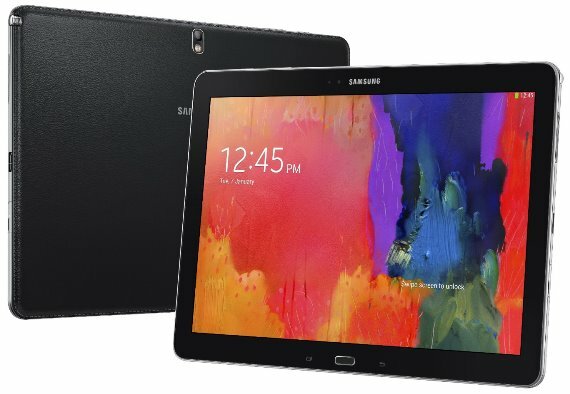 Currently I don’t have price for the Galaxy Tab Pro 12.2, but the 16GB Galaxy Tab Pro 10.1 is priced at $499.99 here, while the 16GB 8.4 inch model is at $399.99 here.